The completed outdoor kitchen and living area. The island has a seating area for entertaining while grilling. 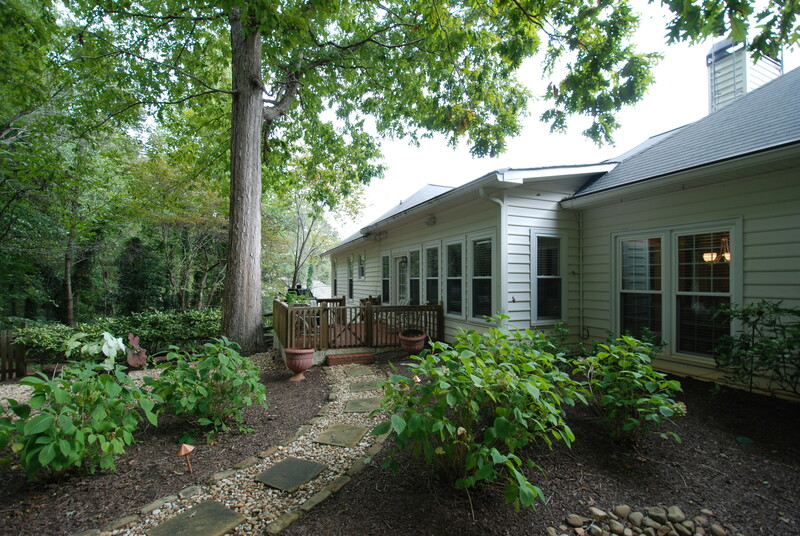 Landscaping played an integral part of creating a natural space that is inviting. 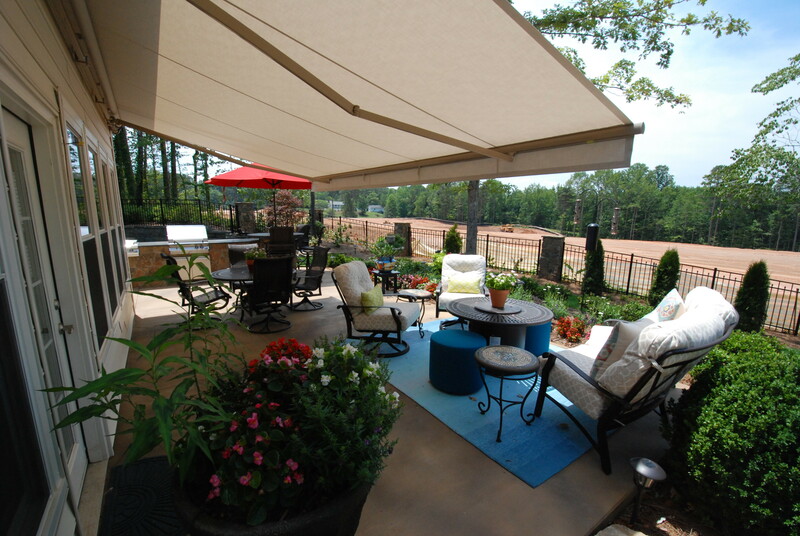 The decision to use a retractable shade and umbrella saved the cost of building a screened porch and gave us more options for building the space. By using a retractable awning, the adjacent Florida room didn’t become dark. Bug control keeps the area mosquito free and the furniture selection and rug creates the feeling of an outdoor living room. 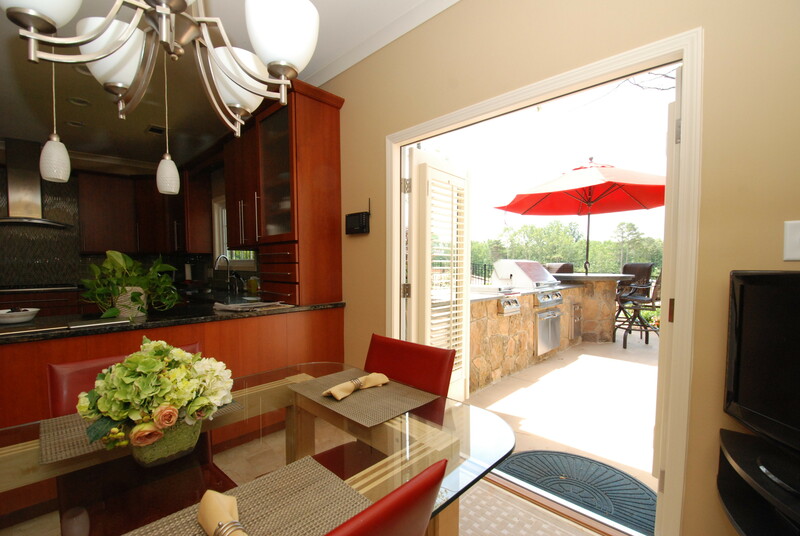 By replacing the kitchen windows with a door, we connected the indoor and outdoor kitchens. The flow between the two makes grilling easy and with the outdoor entertaining area, eating outside or inside is a simple choice. 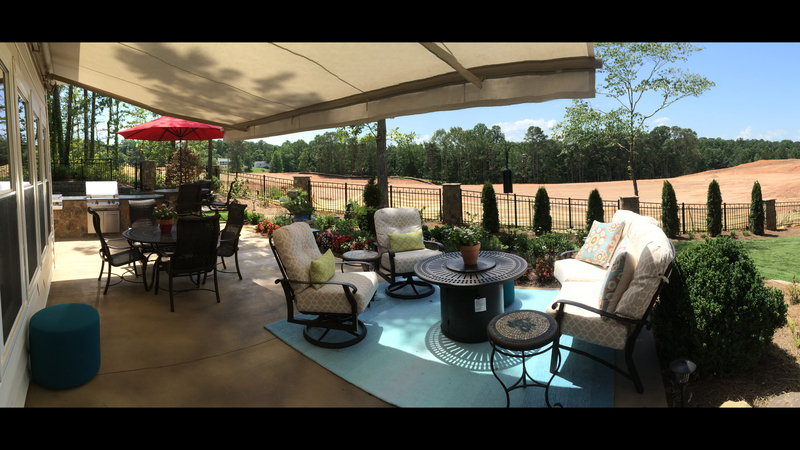 A more panoramic view of the outdoor living area. It has three “rooms” in that there is a defined kitchen area where the grill and side burner is, a morning room area, and finally a living room. The landscaping helps set a backdrop to the space and as the boundary trees grow, the space will become more private. 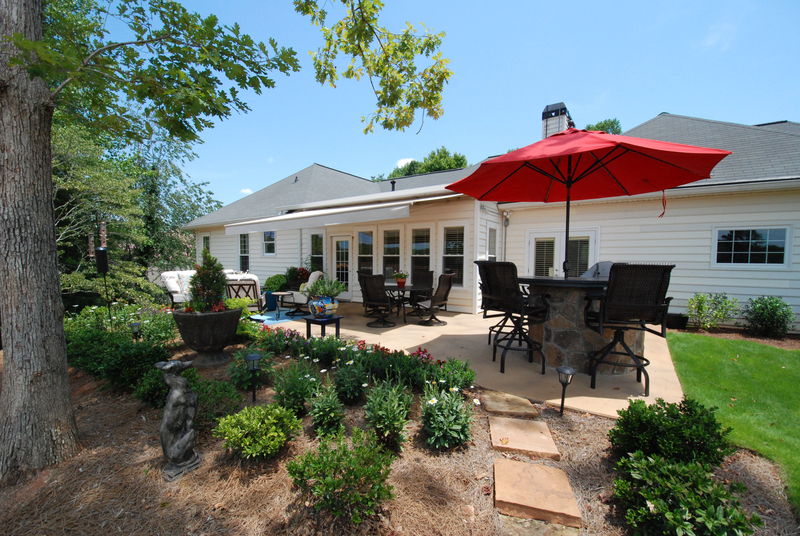 The original backyard with a very small patio for grilling and no space to entertain guests. The only access from the kitchen was through the adjacent Florida room so everything had to be carried through the house to the patio.